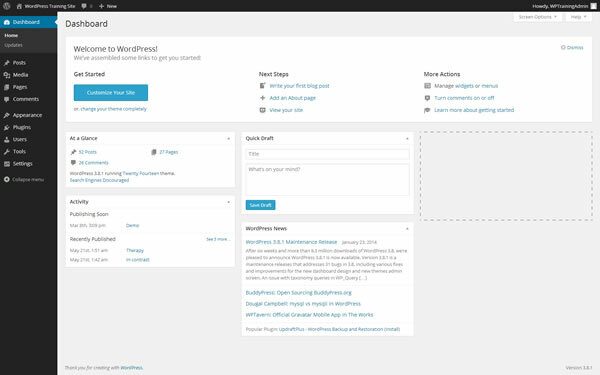 WordPress is a great platform for managing your website. But did you know that you can also schedule your posts so that they get published at some time in the future? It's hard enough to publish new posts to your site on a regular basis. But what if one day you're in a writing mood. You sit there at your computer and you are a typing typhoon. And before you know it you've got 6 new posts. But do you really think that you should publish all of those posts at the same time? 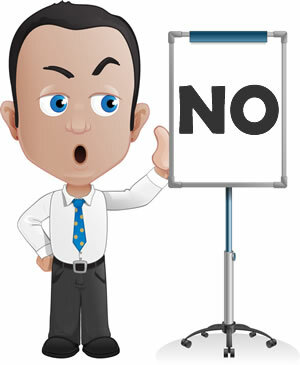 That's right, No! With WordPress, you have the opportunity to schedule all of those posts. You can have one publish right now, tonight, tomorrow morning, next week or even next month. 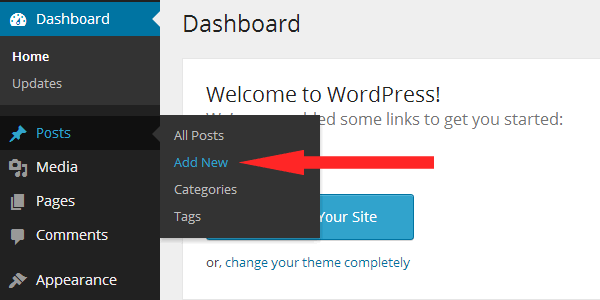 Which ever day, week, month or year you want that post to publish, you can set it up within WordPress. And we're going to show you how. 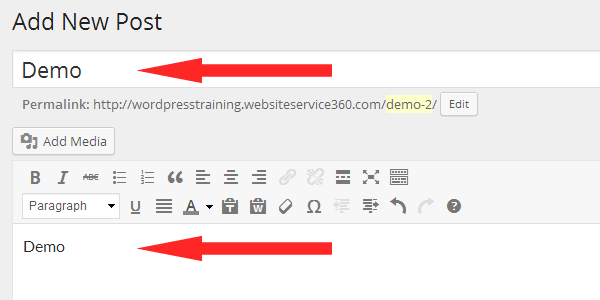 First things first, log in to the administrative side of your WordPress site. Go to the Posts section and select Add New. Give your post a title and add some content. Now, don't hit the publish button. 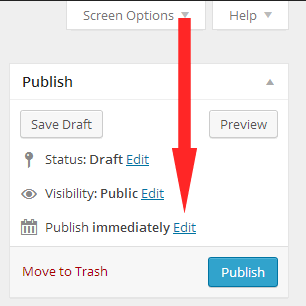 What you're going to do is click the word Edit, that is right next to "Publish immediately"
And now a date line will appear below Publish immediately. This is where you can set the day, month, year, hour and minute. Make note that it uses military time. So if you want to publish it in the afternoon to add 12 hours to the time. For example, 3pm become 15. Once you've setup the date the way that you want it, click on the OK button right below. 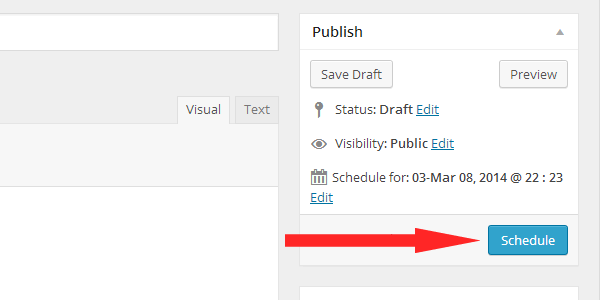 Now your publish button has turned into a Schedule button. 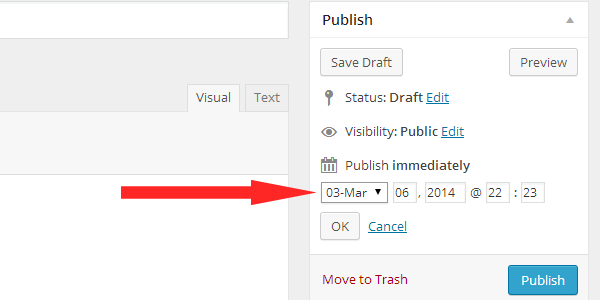 ow when you click that button your post will be scheduled to publish on the date that you've chosen. So go forth and schedule your WordPress posts with confidence. Don't forget to share this with your WordPress friends.